It was Tuesday and I was driving north of the small town of Ketchikan, Alaska. I saw a young man hitchhiking. It is my custom and privilege to pick up hitchhikers. I asked him if he ever read the Bible. He told me that he did. We eagerly entered into the pleasure of a lively spiritual conversation. We each shared our testimony of how we came to know Jesus. As in all such cases time passes much too rapidly and we still had much to share with one another when we came to Lighthouse Grocery, which was his destination. As we pulled in front of the store, he invited me to a seven o'clock Wednesday evening prayer meeting at his pastor's house. I said that I would be delighted to come. He gave me directions. I continued on my way toward one of the many lovely parks north of town. With the joy of sharing the love of God in my heart, the warmth of the summer sun seemed more pleasant, the bird songs seemed happier, and the lush greens of the Alaska rainforest seemed more vibrant. The next evening I headed toward the pastor's house for prayer meeting. I normally like to arrive at meetings early, but because this would be my first time to meet these people, I felt more comfortable in timing my arrival for exactly seven o'clock. I did not want to be the first person there. Much to my surprise there were no other cars parked around the house. I double-checked the address. It was correct. I checked my watch. Yes, it was seven o'clock, Wednesday evening. I hesitated, unsure of what to do. But because I'd spent the time and effort to find the place, I decided to go and ask. I rang the doorbell and presently a man opened the door. I told him that I was looking for a prayer meeting and asked him if I had the right place. He smiled and explained that I had the right place, but that prayer meeting was on every other Wednesday evening. I laughed and said that it seemed that I was in the right place at the wrong time. I then said that I was sorry to have troubled him and that I would come back the next Wednesday. But he introduced himself as the pastor and graciously invited me into his home. He said, "He would find it a pleasure to fellowship for a while." I introduced myself, mentioning the young man that I had enjoyed talking with the day before. There is a special joy in fellowshipping with someone who loves Jesus that transcends denominational issues. Noting that we did come from different denominations, the pastor asked me what I believed in regard to hell. I stated that I believed in hell, but perhaps differently than he did. I then requested permission to ask him a couple of questions, in order to establish some common ground. He nodded his assent. I asked him if it was his understanding that Jesus died the second death as punishment for our sins. He said that was his belief. I then asked him if it was his understanding that the second death was eternal torment in fire and brimstone forever and ever. He said that was his understanding of the second death. I then asked him, "Well then, if Jesus died the second death for our sins, and the second death was eternal torment in fire and brimstone forever and ever, why isn't Jesus still burning?" Head in hands, the pastor thoughtfully stared at the floor for a few moments, which, as I waited for his answer, seemed like an eternity to me. At length he straightened up and looked me square in the eyes, conceding that that was a good question and that he did not know the answer to it. He would have to study it further. I pray that we all will be motivated to study, to examine our beliefs, our doctrines in the perfect light that shines from the cross of Calvary. Hell is much more than physical torment. Jesus' suffering on the cross involved much more than physical torment as well. The movie "The Passion of the Christ" focused on the physical aspect of Jesus' sufferings. In the graphic movie, Roman soldiers tortured Jesus horribly. His face became so swollen and bloody that it was hard to see any expression of feeling. Jesus did suffer intense physical pain. Was a few hours of physical suffering by a perfect man all that was necessary for our salvation? No. Did Jesus also suffer emotionally, mentally, and spiritually as well as physically? Yes. Jesus' sacrifice entails much more than physical suffering. Jesus suffered the full wages of sin, which is the second death. Let us look to the cross for our answers. It is because we as Christians have not done this that there are hundreds of different Christian denominations. Most denominations claim the Bible as their authority. Each denomination claims to be led by the Holy Spirit and yet interprets the Bible differently. Many Denominations feel that they are the only ones that have the truth. Negotiations resulting in compromise will not fulfill Jesus' desire for Christian unity. However, God has graciously provided us with an infallible guide with which to check our interpretations. This is the foundation of the only safe path to the unity that Christ desires for his church. Listen to what Paul proclaims on the subject: 1Corinthians 3:11 "For other foundation can no man lay than that is laid, which is Jesus Christ" (KJV). This is true for the reading of the New Testament and is also true for the reading of the Old Testament. Jesus' sacrifice on Calvary is the foundation on which all truth must be built. I invite you to reexamine all your beliefs and doctrines in the light of Jesus' sacrifice. One of the most unpleasant and awkward doctrines is that of everlasting torment in hell. But before we look at hell in the light of the cross, we need to distinguish between the first and the second death. Revelation 20:14 "And death and hell were cast into the lake of fire. This is the second death" (KJV). There is no more death for God has cast death into the lake of fire and destroyed it. God casts hell into the lake of fire and destroys it as well. The second death is the lake of fire. Death is the end of life, a state of nonexistence. What kind of fire can consume death and hell? Physical fire cannot ignite, burn, or consume death. Neither can physical fire destroy hell. But the fire of God's love can bring an end to sin, death, and hell. Jesus died the second death on the cross of Calvary in order to pay the price for our sins. The second death is hell. The cross was hell. Christ died to pay the penalty of sin, the whole world's sin. The penalty of sin is death, the second death. The good and the bad alike face death, the first death. The first death (physical death) is a result of sin; nevertheless, it is not punishment for sin. The Bible refers to the first death as rest or sleep. 1Kings 2:10 "So David slept with his fathers, and was buried in the city of David" (KJV). Psalm 13:3 "Consider and hear me, O LORD my God: lighten mine eyes, lest I sleep the sleep of death" (KJV). Jesus' first choice to refer to those who were no longer living was the word "sleep". Jesus raised this girl from the dead. He did not just wake her up from a nap. Jesus used the word sleep to show the temporary nature of the first death. Jesus preferred to reserve the word death to refer to the spiritually lost. These word choices serve to highlight the difference between the physical life and the spiritual life. Jesus considered the end of the physical life to be of relatively small importance in comparison with the eternal consequences of spiritual death. Matthew 8:21, 22 "Then another of His disciples said to Him, 'Lord, let me first go and bury my father.' But Jesus said to him, 'Follow Me, and let the dead bury their own dead'" (NKJ). In other words, let the spiritually dead bury the physically dead. The apostle Paul also teaches that although we may be alive physically, when we are living in our sins we are dead. Those who are not saved are referred to as dead, spiritually dead. As Christians we learn to see things as God does. The first death is just like sleeping; it is temporary. We don't need to be afraid to sleep the sleep of death. The only thing that Christians need to fear is that which can separate us from Jesus. When the dead in Christ hear the trumpet of God, they will rise to everlasting life. We can see from the words of Scripture that God considers the first death much like we would consider going to sleep at night. From God's point of view our spiritual condition is far more important. If we have accepted Christ as our Savior, we will live eternally, although we may sleep in the grave until the blessed resurrection at the second coming. Therefore, Christians have nothing to fear from the first death. Stephen, for example, was more concerned for the spiritual well being of his murderers than he was about being stoned to death. When Jesus' friend Lazarus died, he used the word sleep. Jesus here tried to teach the disciples heaven's perspective regarding physical death. His disciples then, and even many two thousand years later, are confused about the sleep, death, and the resurrection. The first death causes separation and sorrow, but it is nothing to be afraid of. The second death, however, is different and a much more serious thing. Jesus encourages us not to be afraid of physical suffering, torture, or even death. Even in the face of torture we can choose to abide in Christ. The attractions of sin separate more people from Jesus than threats of torture. Through faith in Christ we will overcome sin and so escape its punishment - the second death. He who does not overcome sin and selfishness will be hurt by the second death. The second death will have power over those who do not have part in the first resurrection. Revelation 20:6 "Blessed and holy is he who has part in the first resurrection. Over such the second death has no power, but they shall be priests of God and of Christ, and shall reign with Him a thousand years" (NKJ). Revelation 21:8 "But the cowardly, unbelieving, abominable, murderers, sexually immoral, sorcerers, idolaters, and all liars shall have their part in the lake which burns with fire and brimstone, which is the second death" (NKJ). Even if we die the physical, first death, we can look forward to the resurrection and eternal life. Now we'll look to the cross to see what God has revealed to us there in regard to sin and its punishment, which is the second death. Christ has paid the penalty for sin by experiencing the second death, so we don't have to. Hebrews 2:9 "But we see Jesus, who was made a little lower than the angels for the suffering of death, crowned with glory and honour; that he by the grace of God should taste death for every man" (KJV). The first death is not punishment for sin. Therefore, no matter how brutal, the first death cannot atone for sin. As the Son of Man, Jesus did experience physical torture and the first death, but that wasn't atonement for sin. Jesus had to die the second death as well as the first death. Jesus died to rescue us from the second death. Therefore the death that he tasted for every man was the second death. This is the same thing as the cup of suffering that Jesus prayed about in the garden of Gethsemane. Christ tasted the second death for every man on the cross of Calvary. Different events that caused Jesus sorrow hint at the anguish and suffering that would later engulf Him on the cross. Jesus wept over Jerusalem. Huge crowds gave Christ honors fit for a king during his triumphal entry into Jerusalem. All the poor of Israel were looking for a Saviour to rescue them from poverty and hunger as well as a Messiah to heal their physical diseases. Rich and poor alike waited impatiently for a King to lead their nation Israel to victory over their Roman enemies. All of Israel would have welcomed Jesus as King on a physical, worldly level. How few were ready to receive Jesus into their hearts as the Messiah-King on a spiritual level to rescue them from sin and selfishness. That wounded the heart of Jesus to the point of tears. Jesus' heart-rending sorrow fit in like funeral music at a wedding. The multitudes of Israel were eager to crown Jesus king. Can you imagine the amazement of the vast crowds of Israelites when Jesus, the One they were eager to crown king, burst into tears of inexpressible sorrow? To the crowds the future of Israel looked bright. Jesus could heal the sick and wounded, raise the dead, and feed vast multitudes. Jesus would be their great and powerful King. He would lead Israel's army against the hated Romans. With Jesus as Israel's King, Israel would crush all her enemies. On the other hand Jesus saw things on a spiritual level. And Israel's future did not look so good. Jesus' sudden sorrow sounded a discordant note of wailing in the sweet chorus of praises and hallelujahs. While everyone was rejoicing, honoring Jesus, the Messiah, the son of David, the King of Israel, he interrupted the joyous praises to weep tears of bitter anguish. His sobbing, mournful tones cast a pall over the triumphal entry. Christ's outburst of grief and tears showed the depths of God's love for unrepentant, sinful Israel as she, by rejecting Him, separated herself from the only Source of life and hope. Jesus also knew that Jerusalem was a type of the world at the end of time. Looking down the ages to our time, just before his glorious second coming, he saw that the majority of nominal Christians, unnumbered millions, would by rejecting Him, seal their own doom (See Matthew 24:5, 10, 24; Luke 21:8, 12, 16, 17, 35; John 16:2; and Revelation 13:4, 7, 8, 12, 14, 15). From the descent into Jerusalem Jesus could see the garden of Gethsemane. He knew that was where the sin and guilt of our rebellious world would begin to fall on Him. Jesus knew that he was headed for the cross of Calvary. But Jesus did not weep because of the infinite suffering that he soon faced. No. Jerusalem's approaching doom broke Jesus' heart. Jerusalem was rejecting Him, their only hope. He had come to save them from the ruin and degradation of sin and guilt. Nevertheless, the very concept of love demands freedom. Israel must be free to accept or reject their Saviour. Love cannot exist without freedom. It is also true that freedom cannot exist without love. Jesus' reaction to Jerusalem gives us an insight into one aspect of the sorrow and anguish that filled his heart to the point of breaking as he hung on the cross of Calvary. Jesus' love for sinners has ever been infinite. Infinite love brings the possibility of infinite sorrow. Jesus loves each of us sinners more than he loves his own life. Have you ever had someone that you cared for reject your love? It hurts doesn't it? Jesus' heart is much more sensitive than ours, so the pain of rejection would be much more intense for Him. All the more so because Jesus knows that all those who reject his saving love are headed for destruction and eternal death. Now try to imagine that intense pain of rejection multiplied by the hundreds of thousands of precious souls in the nation of Israel that were rejecting the saving love of Jesus. Can you imagine how much it must have hurt our Savior to see the whole chosen nation of Israel choose Satan's path of death and destruction instead of Jesus' path of salvation and life? No wonder Jesus broke down and wept! The wonder is that anguish of soul did not kill him right there! It was only because his Father was in Him, strengthening Him that Jesus was able to endure that magnitude of grief. It is my hope and prayer that as we study God's love, as displayed by Jesus on the cross, the Holy Spirit will win our hearts and minds to Jesus' noble cause. Sin and selfishness cause guilt and separation. These lead to stress, sickness, disease, and death. That is why our sin was torture to Christ's spirit. Sin destroys his creation, his children that he loves. Sin and guilt warp the spiritual eyesight of those who hang onto their self-centered ways. Unrepentant sinners feel condemned by God, the very One who gave his life to save them. This separation causes God intense anguish of soul. Would you like to get a mother's perspective into the suffering of God? Ask any loving mother that has gone through the agony of watching cancer or some other illness steal the life of her dear child. The deeper the mother's love, the deeper her sympathy, and the more intense her grief will be as she endures the suffering of her dear child. God's love is infinitely deeper and more sensitive than any father or mother's love. The sacrifice of Jesus on the cross proves that God loves each individual human being more than his own life. Imagine the agony Christ and the Father felt, and feel now, when one of their precious children refuses Jesus' free, and totally effective cure for the cancer of sin. Now multiply that infinite agony by the staggering number of lost angels and of lost human beings! I plead with you, dear reader, on behalf of God, please allow God's message of love and mercy to enter and fill your heart. By beholding we become changed. 2Corinthians 3:18 "But we all, with open face beholding as in a glass the glory of the Lord, are changed into the same image from glory to glory, even as by the Spirit of the Lord" (KJV). Behold the infinite love of God with the eye of your heart until sin and selfishness become hateful in your eyes, and are fully replaced by love for God and man. Preach the love of Jesus by living a life that is in harmony with God's law of unselfish, unconditional love. Love your enemies. Pray for those that hate you. As you do this you will be establishing a stronghold behind enemy lines. The enemy will attack your stronghold. But remember the King of the Universe is on our side. He has already won the victory. Satan's principle of selfishness is the enemy. Strong willpower may change our actions temporarily, but it cannot change the heart. We must give the Holy Spirit the time and the opportunity to change our hearts by investing the time every day to meditate on Christ's unselfish, infinite heart of love that overflowed in the self-sacrifice of the cross. God's love can rule only where it is invited. Jesus voluntarily became our Sin bearer. He carried the sins of the whole world. In 1Corinthians 15:3 Paul asserts: "For I handed on to you as of first importance what I in turn had received: that Christ died for our sins in accordance with the scriptures," (NRSV). Again in Hebrews 10:12 Paul writes: "But when Christ had offered for all time a single sacrifice for sins, he sat down at the right hand of God," (NRSV). The prophet Isaiah, centuries before Christ, foretold that Christ would be our Sin bearer. Isaiah 53:6 "All we like sheep have gone astray; we have turned every one to his own way; and the LORD hath laid on him the iniquity of us all" (KJV). Interestingly, Isaiah, in verse nine of the same chapter, used the Hebrew plural form for the word death. Isaiah 53:9 "And he made his grave with the wicked, and with the rich in his death[s]; because he had done no violence, neither was any deceit in his mouth" (KJV, Brackets mine, to express the literal Hebrew). The Old Testament as well as the New Testament reveals that Jesus died the second death in order to rescue us from sin and its destruction and eternal death. The scribes and Pharisees did not understand that the scriptures pointed to the suffering of the Messiah. When these church leaders asked Jesus for a sign, he gave them the sign of Jonah. Had the church leaders' (the Scribes and Pharisees) hearts and minds been open to the Holy Spirit, the sign of Jonah would have been enough to convince them that Jesus was the divine Messiah, that he must suffer and die, and that he would be resurrected after three days. Jesus gave notice that Jonah's prayer was a messianic prophecy. On the cross, Jesus cried out from the depths of hell "My God, my God, why hast thou forsaken me?" Jonah's words "Cast out of thy sight" parallels Christ's feeling of rejection and separation from God. Soul means the mind. Jesus carried our sins in his mind and heart. He felt trapped, buried, forsaken, and lost. The weeds symbolize the crown of thorns thrust on Jesus' head (Matthew 27:29). The waters represent the wicked multitudes that called for Jesus' crucifixion. Jonah felt that because of his sin he would be stuck in the grave forever. 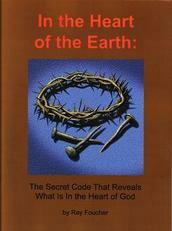 "The earth with her bars was about me forever," foretells Jesus' second death experience. Every fiber of Jesus' being, all his senses thrust upon his heart and mind that he was going to die, to cease to exist, forever. Moreover, our sins buried Jesus under oceans of despair and darkness. Jesus' soul fainted within Him as well, to the point of breaking his heart. He too remembered the Lord and cried out in prayer and supplication. Jonah and Jesus both knew that lying vanities, or false gods, separate people from their merciful Father. Lying vanities can also result from accepting Satan's cruel lies about our merciful Father. Praise is an acceptable sacrifice to God. Jesus was born to die as a sacrifice for sin. "I will pay that that I have vowed." Jesus looked the darkness of everlasting death square in the face. He didn't blink. He reaffirmed his decision to save sinful humanity at all cost while in the garden of Gethsemane. He laid down his life, his soul. The phrase, "Salvation is of the Lord," indicates that Jesus' faith rested entirely on his Father. Jesus placed his soul, his existence, in his Father's hands. Only by faith was Jesus able to grasp the hope of the resurrection, and only after plumbing the depths of the hell that was rightfully ours. As his breaking heart was ceasing to beat, Jesus spoke the words of triumph and faith, "It is finished." By faith, Jesus won the victory over death, hell, and Satan's lies. As Jonah spent three days of soul anguish in the belly of the whale, in the midst of the dark seas, Jesus spent three days in the heart of darkness. When the rude multitude seized Jesus, he entered into the grasp of the satanic powers of darkness. Jesus announced the beginning of his fulfillment of Jonah's three days. Luke 22:53 "But this is your hour, and the power of darkness" (KJV). Matthew 12:40 "For as Jonah was three days and three nights in the belly of the great fish, so will the Son of Man be three days and three nights in the heart of the earth" (NKJ). We have listened to Jonah's anguished prayer, which foreshadows Jesus' last three days. It was Jonah's own sin that caused him to feel separated from God. When we sin, our guilt causes us to feel separated from our heavenly Father. Isaiah 59:2 "But your iniquities have separated between you and your God, and your sins have hid his face from you, that he will not hear" (KJV). Imagine, then, what Jesus must have felt, carrying the sin and guilt of the whole world! The apostle Matthew records Christ's words for us: Matthew 27:46 "And about the ninth hour Jesus cried with a loud voice, saying, Eli, Eli, lama sabachthani? that is to say, My God, my God, why hast thou forsaken me?" (KJV). Christ was quoting from Psalm 22:1 "My God, my God, why hast thou forsaken me? why art thou so far from helping me, and from the words of my roaring?" (KJV). Jesus was the perfect Son of God. Nevertheless, when he carried the sin and guilt of the whole world, an infinite darkness settled on his heart and mind, his soul. The terrible darkness of sin blocked Jesus' sense of the Father's presence. As Jonah was separated from the light of the sun, Christ experienced the dark horror of separation from the light of his Father, the Source of life. How terrible are the effects of sin on even the perfect Son of God! Christ's sense of separation from God crushed down heavily on his heart. This crushing weight of separation contributed to Jesus' death from a broken heart. There are other dark factors to consider that took our gallant Savior down to the depths of the pit of hell. Only infinite love could bring Jesus to face the dire consequences of our sin. But God never deserted his Son. Paul confirms the understanding that the Father was with his Son on Calvary. 2Corinthians 5:19 "To wit, that God was in Christ, reconciling the world unto himself, not imputing their trespasses unto them; and hath committed unto us the word of reconciliation" (KJV). On the cross of Calvary, God was in Christ. Because of the darkness of sin and guilt, Jesus was not able to sense his Father's presence. Nevertheless, the Father was in Christ, reconciling the world unto himself. Jesus willingly chose the cross because of his great love for fallen humanity. The Father loved Jesus even more because of his great sacrifice for fallen humanity. John 10:15-17 "And I lay down my life for the sheep. I have other sheep that do not belong to this fold. I must bring them also, and they will listen to my voice. So there will be one flock, one shepherd. For this reason the Father loves me, because I lay down my life in order to take it up again" (NRSV). Consider as well Psalm 22:24 "For he hath not despised nor abhorred the affliction of the afflicted; neither hath he hid his face from him; but when he cried unto him, he heard" (KJV). Christ's view of the divine light of God's presence was fading because he began to carry the sins of the world, not because his Father hid his face from his Son. Our heavenly Father was not angry with his Son. No. God the Father's love is ever consistent no matter how large the mountain of guilt that any person might carry. The Father was not frowning at his Son, but at sin. Jesus' infinite love for us led Him to identify with our sin and guilt. This combined with the terrible enormity of his sense of separation from God filled his soul with dismay and horror. He experienced the fullness of God's wrath against sin. All this caused his view of the Father's infinite love for sinners to be blocked. Who could keep the Father from being with his Son at such a time? John 3:16 "For God so loved the world, that he gave his only begotten Son, that whosoever believeth in him should not perish, but have everlasting life" (KJV). Even though his children are sinners, God loves them with all his heart. Notice that God the Father chose to experience all that Jesus did. Who could stop Almighty God from going through this with his Son? Notice also the difference in consequences between the Father and the Son. Both suffered infinite pain, but God the Son had taken human form in order to be able to experience the second death as a man. He endured the natural consequences of carrying the world's sin and guilt. On the cross of Calvary, Jesus showed all mankind the inevitable, horrifying death that all unrepentant sinners must face. Not because God has made an arbitrary decree declaring that those who break his law must be punished in this manner. No. The natural, inevitable result of sin is guilt. Guilt results in the sinner's inability so appreciate, believe, or receive God's love. Sin and guilt lead to death. Guilt embodies a sense of condemnation, separation, and deep despair. Guilt and condemnation do not come from God. John 3:17 "For God sent the Son into the world, not to condemn the world, but that the world might be saved through him" (RSV). When a person hangs on to sin and guilt, he becomes unable to receive the cleansing, saving power of God. On the cross, Jesus felt forsaken and alone, but God the Father was in Christ, experiencing all that Jesus did. However, God alone is immortal. He cannot die. It was love for their helpless children that led the Father and the Son to choose to experience the sufferings of sin. There was no other way to save humanity from the power of sin and guilt. The Holy Spirit also has a personality, feelings that can be hurt. Ephesians 4:30 "And do not grieve the Holy Spirit of God, by whom you were sealed for the day of redemption" (NKJ). We don't often think of the Holy Spirit as a person. I think it is helpful to consider each member of the godhead as a person with thoughts and feelings. Jesus certainly had thoughts and feelings. If we have seen Jesus, we have seen the Father. And the Holy Spirit reveals Jesus to us. That means that the Holy Spirit has to be able to express to our hearts and minds the thoughts and feelings of Jesus. Jesus' suffering for our sins goes to deep levels of anguish, agony, sorrow, and despair that our finite minds will never fully understand. Nonetheless, it is our privilege to bring glory to Jesus by studying and meditating on these holy, sacred topics. Let us prayerfully consider the anguish and despair of soul that Jesus endured as the dense darkness of sin and guilt blocked his view of his Father's love. Though sinless, Jesus shared the consequences of our sin. Though the perfect Son of God, Jesus chose to identify himself with our sin, guilt, and shame. Through Jesus we begin to see God's great love for us. Faith begins to grow in our hearts. Our desires, thoughts, and habits begin to change. To be born again is to become a new person. The old person, self-centered, sin-loving, must go. The new person loves Jesus more than he loves sin. He is a new creation. It takes more of God's creative power to redeem one sinner than it does to speak a world into existence. Undoing the destructive effects of sin, creating a new heart, a right spirit within us, forming a new life within us is a marvelous work that only God can do. However, God cannot do this work without our permission and cooperation. That is why God poured out his great love through Jesus. Only by such an incredible demonstration of unselfish, unconditional love could God break through the dark fortress walls of sin and guilt that Satan had built around the whole world. Wonderful, powerful love! When I, though a sinner and enemy of God, first began to understand, through Jesus, his great love for me, the Holy Spirit planted a seed of faith and love in my heart. Sin began to be less attractive to me. Jesus' sacrifice demonstrated to me the horrible, eternal consequences of hanging on to sin. I began to fear and hate sin and its consequences. Jesus willingly chose to experience the punishment, the awful consequences of sin so that I wouldn't have to. As through the Scriptures I continue to meditate on the life and death of Jesus, my love for Him and my faith in Him continues to grow. Satan's lies lose their power. Jesus willingly lifted the indescribably heavy and destructive burden of our shame, guilt, and despair. Hebrews 12:2 "Looking unto Jesus the author and finisher of our faith; who for the joy that was set before him endured the cross, despising the shame, and is set down at the right hand of the throne of God" (KJV). Jesus weighed the guilt and shame of all humanity's sin against his great love for each of us and decided to save us even though the cost was beyond human comprehension. Jesus' hatred of sin was as strong as death. Jesus' love for sinners was stronger than death, stronger than his repugnance, his hatred for guilt, shame, and pain. In this sinful world you have been the victim of injustice. Your thoughts, words, feelings, and even perhaps your attempts to help others have been angrily misunderstood. People have said hurtful words to you, perhaps even physically striking you. The hurt, the anger, and the resentment may have simmered in the back of your mind for years. Relationships have been strained or even damaged beyond repair. You have been used; you have been abused. Even as a Christian, your forgiveness of others has often been more successful in your mind than in your heart. Have you ever seen an injustice that grieved your heart? Of course you have. Perhaps you have seen an enraged parent screaming at or even beating their helpless toddler, for crying out in the only way she knew how for the love and attention that she craved. Perhaps you have been that child. Or perhaps you have seen an angry man taking out his rage and frustration on a defenseless, undeserving dog or other animal. I'm sure that you have wrestled with the world's injustice. Your staggering heart, mind, and soul have stumbled in different directions in the effort to understand the immensity of humanity's innocent suffering and pain, some of it your own. If you could bring an end to all human suffering and pain by merely giving up all your money and material possessions, would you do it? Of course you would. What if the price were a little higher? What if you had to cease to exist, forever, would you do it then? I am certain that some Christians and even some non-Christians would agree to such a sacrifice. I also believe that even many "wicked" people would agree to such a sacrifice. Ah, but only because they do not understand the value that God places on each individual soul. God allows the suffering to continue because in his wisdom he knows that there is no other way to save as many of his precious children as he can. He loves you and every other human being on the earth more than his own life. Our suffering causes God deeper pain than we ourselves can experience. Our Father feels that our personal freedom to choose to accept or reject his love is more important than bringing an end to our suffering. Love and freedom cannot exist without one another. Certainly, we cannot truly love, worship, or obey God unless we are free not to. Love and worship require freedom. Freedom carries the risk of pain. If God had wanted to, he could have created good-looking robots that he could order about to carry out his every whim. However, robots don't have freedom of choice and therefore do not have the ability to love. If God had created beings that could not sin, there would have been no opportunity for selfish rebellion and death, but neither would we be able to love. Robots could have no meaningful interaction with God. Their existence would have no meaning for God. Even the animals are not robots. Jeffrey Masson, in his book, When Elephants Weep, relates numerous stories that clearly portray the emotional lives of animals. When they are hurt, they cry out in pain. Yet some animals have risked or even sacrificed their lives for other animals and for people as well. They have feelings. Elephants shed tears. They mourn for their dead. Feelings bring meaning. When we pray we shouldn't pretend that we are telling God something he doesn't already know. We cannot give God new information. He knows everything. But we can share our feelings with Him. He cares about our hopes and desires, our disappointments and triumphs. God cares. He wants us to learn to care for each other and for Him. Feelings combined with freedom bring the risk of pain. If God had created us without freedom, there would have been no need for a Saviour, but neither would there be any appreciation of God's character, or any true worship. There would have been no suffering and death, but neither would there be any glory or victory. God takes no pleasure in robotic service. God wanted intelligent, reasoning beings that could freely decide whether or not to love, which is the only foundation for true obedience and worship. God inspired wise King Solomon to express a fundamental principle that holds true on earth, and in Heaven. Proverbs 14:28 "A king's greatness depends on how many people he rules; without them he is nothing" (TEV). Jesus, our King, on the cross proved Solomon's point. Jesus would rather die forever, that is, cease to exist, than allow his precious children to be wiped out, annihilated by Satan. God in his wisdom, love, and prudence invites you to examine his record, his character, which is the principle that forms the foundation of his kingdom. Isaiah 1:18 "Come now, and let us reason together, saith the LORD" (KJV). Friend, through the words on these pages, I invite you to examine, approve, and receive our wise Father's kingdom principle of unselfish love into your heart, mind, and soul. Ephesians 1:7, 8 "In whom we have redemption through his blood, the forgiveness of sins, according to the riches of his grace; Wherein he hath abounded toward us in all wisdom and prudence" (KJV). Jesus, in his love, wisdom and prudence, freely chose to die for his enemies. That is the foundation principle or law of Heaven. Through the power of the Holy Spirit, Jesus will implant that kind of love into your heart and mind. To be willing to die for your enemies sounds risky, even foolish. Nevertheless, that is the mind of Christ, which is the only basis for peace, harmony, happiness, and security in Heaven as well as on earth. 1Corinthians 1:18 "For the message of the cross is foolishness to those who are perishing, but to us who are being saved it is the power of God" (NKJ). Benevolent, unselfish love is the power of God. If we want to be like Jesus, we must be willing to die the death for those that hate us. That is the mind, or attitude of Christ. Obviously, self-denying love can only exist where intelligent beings can freely examine, freely judge, and freely choose to accept or reject it. The account of Jesus' death in the Scriptures provides the opportunity and the means for the examination of this principle of self-sacrificing love. The acceptance of it is justification. Choosing to live by it is sanctification. We are free to choose, but choose we must. Freedom is risky. God has given every person tremendous potential. We are free to use our abilities to help others or to hurt others. The intense malignity and vast extent of human suffering serve to accentuate the importance that God places on our freedom. God wants a love relationship with each person. He grants us freedom to say yes or no to his offer of love. When we say no to the power of God, which is his self-sacrificing love, which is the blood of Christ, he leaves us to make self-centered choices. Remember, though, we reap what we sow. The prophet Hosea describes the positive side of this principle. Hosea 10:12 "Sow to yourselves in righteousness, reap in mercy; break up your fallow ground: for it is time to seek the LORD, till he come and rain righteousness upon you" (KJV). He also describes the negative side of sowing and reaping. Hosea 10:13 "But instead you planted evil and reaped its harvest. You have eaten the fruit produced by your lies" TEV). Self-centered choices always cause suffering for us and for others. Selfishness causes guilt, stress, separation, broken relationships, sickness, and sooner or later, death. Self-sacrificing love brings peace, rest, purpose, strong relationships, health, and life. Selfishness or self-sacrificing love, beloved reader, which will you choose? All must choose. To put off the choice is to say no for now. God will never stop loving you, but your ability to receive his love diminishes each time you put Him off. Say yes! Join in the battle against Satan's lies, and the resulting darkness, suffering, and death. Remember that Jesus, and all of Heaven suffer when we do. All Heaven watches the suffering we endure. Each heavenly being longs to intervene and relieve our pain. However, our Father, in his wisdom has decided to give evil the time and space to burn itself out. Even so, we can do much to turn Heaven's sympathetic sorrow and suffering to joy! We must try to understand something of our Father's suffering on account of our wretched self-centeredness. How would you feel, if by circumstances, you were forced to watch as an angry, obscenity-screaming mob physically mistreated, tortured, and killed your innocent child? A strange mixture of anguish and burning anger would explode in your heart, straining it to its very limits. Is it right to feel grief and even anger at the blatant injustices in this world? Yes, it is called righteous indignation for good reason. Righteous indignation is the strong mix of emotions that we feel in regard to others for the cruel, unfair things that they have done to innocent people. God's love and wisdom constrain Him to allow us to inflict suffering on each other and ourselves. That is the only way that we can truly grasp the difference between Christ and Satan. We must see and experience it. Only then can we properly exercise our freedom to choose. Satan has charged God with being an unfair, self-centered dictator. That is all the more reason that God goes to great lengths to make it evident that we have freedom to choose. We must be free to believe in Christ's love or in Satan's lies. Declaring that we believe in and love Jesus is a good starting place. Our thoughts, feelings, words, actions, and reactions to, and interactions with, others will demonstrate whether we truly love Jesus or whether we actually follow Satan. Satan's lies have caused the world to reject God and his rescuing power. Jesus Christ died to heal and save us from the results, the presence, the disease of sin and guilt. Jesus did not die as a clever legal maneuver that would allow us to continue in the sickness and suffering of sin and yet merely be declared to be well, to be righteous. Christ is the great physician. He did not die in order to lie! He died in order to reveal the truth about God and his incredible love, his saving, healing love. If we love and trust God, he will work in and through us to heal us, and others from the cancer of sin, with its suffering and guilt. Innocent human suffering is one side of the coin, one half of the experience, the inevitable result of Satan's rebellion against God's law of unselfish love. Guilt is the other side of the same coin. Guilt is inward directed righteous indignation, the same explosive mixture of burning anger and anguish, but inwardly directed. The hurtful things that we have done to others violate our own sense of justice. Guilt is inward directed anger; it is self-hatred, and remorse. Certainly you have also experienced the guilt-side of this coin. Have you ever done something really wrong? Perhaps you have betrayed the trust of a close friend or relative. Perhaps you have lost your temper and said hurtful, angry words that you did not mean. How did you feel afterwards? Did you find it easy to look into the eyes of the person that you hurt, or did your eyes drop to the ground? When she looked into your eyes you likely felt tightness in your heart, and nausea in your stomach. The guilt that you felt caused you mental and emotional pain and even affected you physically. Guilt is inward directed anger and grief, a natural, and inevitable result of our sins. If you are like me, your mind has replayed these bitter scenes over and over. Guilt causes us deep distress. Many people go to great lengths to try to escape the feelings that guilt brings. Many turn to alcohol, drugs, sexual promiscuity, or other self-destructive kinds of behavior. Sin and guilt are destructive. Nevertheless, remember that no matter how bitter the guilt that you feel, God has shielded you from its full effects. God allows us to experience just enough guilt so that we can understand some of the bitterness of sin. If any of us were to experience, all at once, the fullness of our sin and guilt, we would perish in agony of soul. But Jesus experienced the full sin and guilt of each person ever to exist on this earth! Even as I try to find the words to convey this concept my heart and mind reel at the magnitude, the enormity of the burden of guilt that Jesus agonizingly endured on our behalf, so that we wouldn't have to! Jesus had no one to shield Him! Try to wrap your mind around this aspect of the massive truth that Jesus was fully God and fully man. As the Son of God, his sensitivity and capacity to accept into his heart our burning guilt and shame were infinite. As the Son of Man, his ability to physically endure our guilt resulted in the destruction of his life. Amazing love! Amazing love that soars beyond our comprehension, plunges to the depths of hell, yet beckons and urges our attention, our study, our meditation, our adoration, and our awe. Not, however, in order to merely call attention to himself, but to woo us away from sin and toward life eternal. Furthermore, Jesus Christ experienced both sides of our bitter human experience, the guilt and shame of every perpetrator of wrong, as well as the injustice and pain of every victim. No wonder the angels worship Him! Keep in mind that though Jesus was fully human he was also fully God. He was not forced, nor coerced into drinking this bitter cup of human sin and woe. No. He chose to leave the pleasures and glory of Heaven, the adoration and willing service of the angels, and the intimate fellowship with his Father, rather than to leave us to experience our own sin and guilt. Have you met anyone else likes this? Can your heart and mind grasp the fullness of Jesus' infinite love? God is love. God is fair, kind, sensitive, tenderhearted, patient, wise, and sovereign. In his wisdom, God has allowed the cancer of sin, with all its suffering, to continue for a time. He has done this in order that the whole universe may see the terrible malignancy of rebellion against the principle of unselfish, unconditional love. God hates all human suffering. His tender heart ever suffers with all humanity, with each person, as he suffered long ago with Israel. Isaiah 63:9 "In all their affliction he was afflicted, and the angel of his presence saved them: in his love and in his pity he redeemed them; and he bare them, and carried them all the days of old" (KJV). On the cross of Calvary, Jesus, through his infinite heart of mercy joined us in our afflictions. He carried us. His love and pity led Him to suffer our guilt and shame. That is how our sins were laid upon Him. God the Father (He is the law) did not force, or even demand that Jesus die for our sins. Jesus freely, willingly laid down his life for our sins. John 10:17, 18 "For this reason the Father loves me, because I lay down my life, that I may take it again. No one takes it from me, but I lay it down of my own accord. I have power to lay it down, and I have power to take it again; this charge I have received from my Father" (RSV). God the Father is not angrily looking for a way to destroy sinners. No, on the contrary, the reason that the Father loves Jesus is because Jesus is willing to lay his life down for sinners. Amazing love! Will you join me as I pray, "Father, fill my heart with Your powerful, amazing love until sin and selfishness are crowded out. I claim Jesus as my assurance of Your love for me. Amen." God is our Creator, our Father. He will create a new heart in us, if we give Him permission. God the Father laid our sins on Jesus by withdrawing the layers of protection that had up to now surrounded Jesus and by allowing the infinitely sympathetic and loving Jesus to open his heart to the fullness of the human experience. The heavenly angels had physically protected Jesus from the time he was a babe. God's mighty angels would never have allowed the Roman soldiers to tie Jesus' hands. They would have stopped the soldiers from flogging Jesus. Yet our heavenly Father ordered the angels to step back. The first layer of protection was withdrawn. God is fair, more than fair. He allowed those under Satan's control to afflict Jesus physically, in order to demonstrate the difference between Satan's government and the government of Heaven. Jesus' physical suffering is a good starting point for studying God's love. It serves to get our attention. All the hosts of Heaven and all the people of earth must see the contrast between the two governments. The next layer of protection was the Holy Spirit. Jesus' close sense of connection with the Holy Spirit was lost. This happened at the same time, and as a consequence of, Jesus' taking into his heart the full experience of sinful humanity's guilt and woe. As God allowed Jesus to open his tender heart to the dark, hellish depths of our sin, guilt, and shame, Jesus began to sweat blood. God had to intervene and send an angel to strengthen Jesus to endure this brutal experience, or he would have died right there. God did not arbitrarily withdraw his Holy Spirit. But in order to taste death for every man, Jesus had to experience the fullness of sin and the burning guilt of every person that has ever, or will ever walk this earth. Jesus did not give us a gift that came solely from divine power. No, Jesus earned the right to be our Savior. Jesus, like David, presents his offering, his sacrifice before God from what he had earned. 2Samuel 24:24 "But the king said to Araunah, 'No, I will not have it as a gift. I will buy it, for I don't want to offer to the Lord my God burnt offerings that have cost me nothing.' So David paid him for the threshing floor and the oxen" (Living Bible). Jesus is God. But he earned the right to save us through living a perfect, loving life and taking humanity's woe into the depths of his heart and mind. We never suffer the fullness of our own sin and guilt. When God allows us to get a small taste of our own burning guilt, (in order to show us how dreadful sin is) we sometimes cry out, as did Cain that this is heavier than we can bear. God shields us from the full, crushing, and fatal weight of our guilt. But our merciful heavenly Father did not shield his Son from this brutal experience. And Jesus experienced the totality of human guilt. It was only Jesus' infinite love that could give Him the capacity to experience the enormity of human guilt and grief. Only Jesus' infinite heart of love could motivate anyone to choose such an experience in order to save rebellious mankind! With God's mighty angels standing back, and Jesus' connection with the Holy Spirit broken up, Satan and his evil angels had full access to the heart and mind of Jesus to tempt and torment Him. Satan is a liar. He mixes just enough truth with his lies in order to make them plausible. Knowing Jesus' tender, vulnerable heart of love and Satan's twisted, venomous, hatred, we can imagine Satan's attacks on Christ. Satan pressed upon our Savior the futility of his sacrifice. Satan pointed out to Jesus the multitudes of earth that had rejected the foundation of God's kingdom, the principle of unselfish love. Satan said, "Look at Cain, the people destroyed by the flood, the people of Sodom and Gomorrah, and even your own disciple, Judas. The whole earth has rejected your law of unconditional love. Your own chosen nation has rejected you. The leaders of Israel cannot distinguish between you and me. They are following my principles even while claiming your name! No one understands or appreciates your sacrifice. You are wasting your time. You do not even know if your sacrifice will be accepted. Even if God did accept your sacrifice, it would not do you any good. The world is mine. They have chosen me. If you accept mankind's sin guilt and shame, you will be separated from your Father, forever. How do you even know that you are the Son of God? If you are the Son of God why don't you come down from the cross? Then Israel would follow you." Satan subtly tempted and brutally tormented Jesus. Satan wanted Jesus to die, but not before he had turned back from his mission. Satan wanted Jesus to die as a failure. Satan pressed his torments and temptations harder and harder on the vulnerable Son of God. However, he did not want Jesus to die until he had given in to temptation. Satan continued to press the cup of humanity's sin, guilt, and woe to our Saviour's lips. Jesus willingly drank down the cup of suffering that was rightfully ours. The Father covered Jesus' suffering and shame with a dense darkness. The Father was there with his Son. But it was only through faith that Jesus could know that. Jesus drank down that cup to its bitter end. The experience broke Jesus' heart. As he hung on the cross dying, Jesus cried out "It is finished." Jesus' death at once revealed and vanquished Satan. Love conquered. Hatred failed. Amazing love! Amazing hatred! Never has Heaven's light shined brighter. Never has Hell's deep darkness hung heavier. Our Father's law of unselfish, unconditional love has never been demonstrated more clearly. The malignant viciousness of Satan's self-centered principle of justice was revealed in its grandest fury. What a tremendous, infinite contrast! Never before and never again will the universe witness such an infinite contrast between light and darkness, and good and evil.